Most of the "official" year-end clearance sales are technically over, but that doesn't mean that there aren't deals to be had. In fact, there are a TON of great opportunities out there right now, especially on high-end pens, as retailers reprice old stock to clear it out and make way for all of the 2018 new releases. Happy shopping! 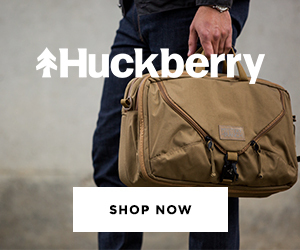 Disclaimer: This post contains links to paid sponsors and affiliates. Pricing and availability is current as of the time of publication of this review. Note: In an effort to expand the range of products I can highlight in Deals and Drops, I've pulled many of my Amazon Recommendations onto an affiliate page, which I try to update regularly as I come across new things. I may still highlight individual products in this post, but the Amazon page is more comprehensive. 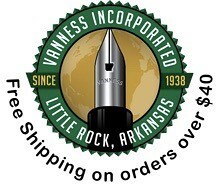 Paul's Paper & Pens 20% Off Coupon (via Paul's Paper & Pens). Get 20% off everything in the store with the coupon code TGS20! Taccia Spectrum (via Pen Chalet). 30% off! 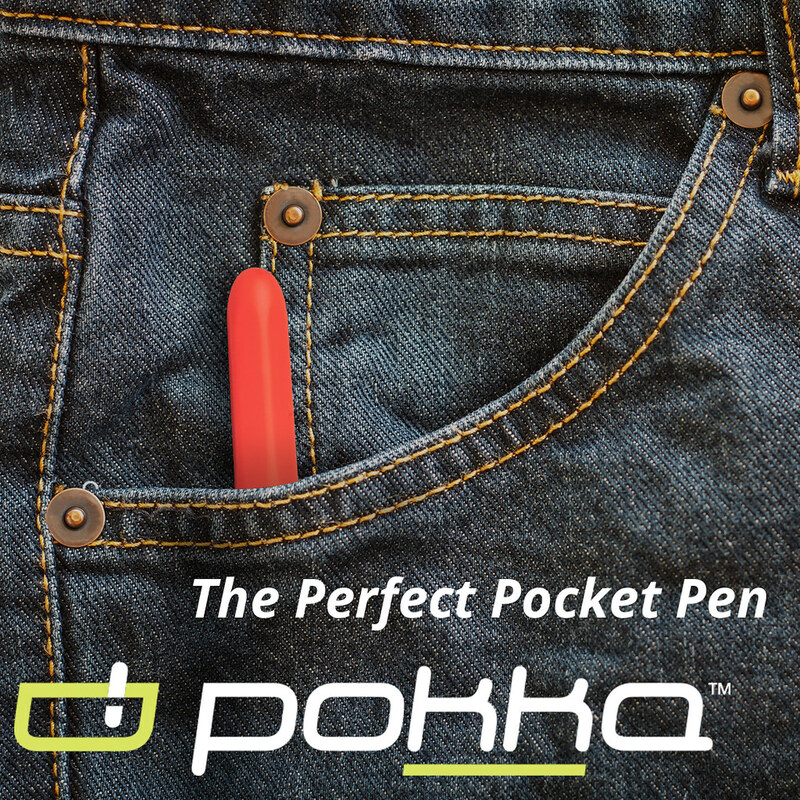 Great price on a good pen. Check out my review here. Taccia Pinnacle (via Pen Chalet). Released alongside the Spectrum, this one also features a Sailor nib. Also 30% off. 3952 Pens (via Pen Chalet). I reviewed one of the X800 models a while back. 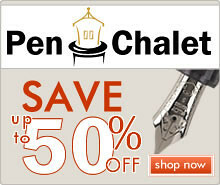 A great opportunity to grab one of these pens at a 30% markdown. Platinum Izumo Tamenuri Fountain Pens (via Pen Chalet). These pens are absolutely gorgeous, but even on sale, probably not within my price range at the moment. If you've been eyeing one though, this might be your chance. Platinum Nice Lavende (via Pen Chalet). What is it about the purple / rose gold trim combination that works so well? Pelikan M101N Bright Red (via Pen Chalet). This year's Pelikan M101N is reduced as well; you won't find this model at this price very often. My review here. Parker Duofold Centennial (via Pen Chalet). I picked one of these up not too long ago and guess I should have waited for the sale! The modern Parkers that I've used recently have been excellent writers. Aurora 88 Marte Limited Edition (via Vanness Pens). Just released, and perhaps the best-looking Aurora 88 limited edition to date, IMHO. The pictures don't do justice to the rose gold trim. Pelikan M405 Stresemann (via Vanness Pens). An absolutely incredible deal on this pen. 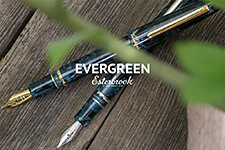 If, like me, you appreciate the smaller Pelikans (which are about the same size as a vintage Esterbrook), don't miss this one. Parker Great Expectations Sonnet Secret Shell Fountain Pen (via Vanness Pens). I love the Parker Sonnet, especially this matte black version with the engraved metal grip. The "Great Expectations" series has been discontinued and is no longer available. Conway Stewart "Winston" in Classic Brown (via Vanness Pens). If I had to choose another Conway, it would be this one. I love this material and the balance of this larger pen. Midori Traveler's Notebook in Limited Edition Olive (via Amazon). There are also Olive versions of the Brass Ballpen and the Pen Holder available, likely for not much longer as Midori will begin working on their 2018 color. Pelikan Souveran M805 Fountain Pen Vibrant Blue (via Goldspot). A nice opportunity on one of the M805 special editions from years past. Aurora Ink Offer (via Goldspot). 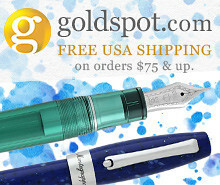 Get a free bottle of Aurora Ink with purchase of any new Aurora 88, Optima, or Ipsilon Fountain Pen. Pilot Custom Grandee Rosewood Fountain Pen (via Anderson Pens). 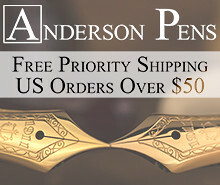 Anderson Pens has some nice new old stock Pilots in the store. I've not seen this one. Pilot Custom 67 Three Piece Set (via Anderson Pens). Another interesting new old stock Pilot piece that I've never seen before. Kaweco AC Sport in Orange (via Appelboom). Probably my all-time favorite Kaweco Sport model. The Green model is also on sale. 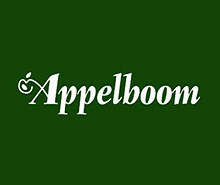 Kaweco Dia 2 (via Appelboom). Probably my favorite of the full-size Kawecos. Get your order above 200 Euros for free international shipping. Gold Eclipse and Red Falling Momiji Fountain Pen (via Yoshi Nakama/Etsy). Not on sale, of course, but this one caught my eye. Yoshi's work is gorgeous. Check out his Etsy shop for more. He also has some pens on sale, but not the intricate ones. Taroko Design Enigma A5 Notebook + Leather Cover (via Taroko Design/Etsy). I've heard nothing but good things about the Taroko Design A5 notebooks, and now they are offering a combo deal with an A5 leather cover that also fits the Hobonichi Techo Cousin.